Luncheon Meat is an Oriental style luncheon meat seasoned with authentic Chinese Herbs and Spices that brings out a touch of Chinese goodness to the usual Luncheon Meat. 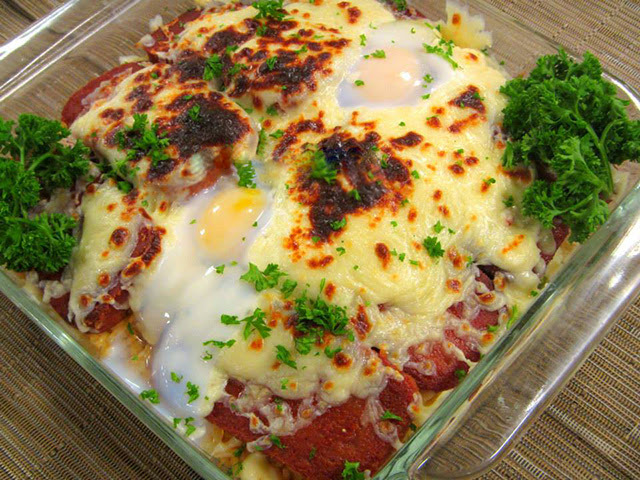 This recipe combines all the partners you love with luncheon meat all in one hearty meal. 2. Add soy sauce and ketchup. Mix well amd transfer to a baking dish. Set aside. 3. Pan fry luncheon meat in oil until crispy. Top over rice, add lots of cheese and bake until melted.